A Sheriff of Nottingham Costume including a Top, Trousers, Cape, Scarf, and Belt – Ideal for Book Week, a TV & Film theme, or any fancy dress occasion! This Sheriff of Nottingham Costume comes complete including a Top, Trousers, Cape, Scarf, and Belt. 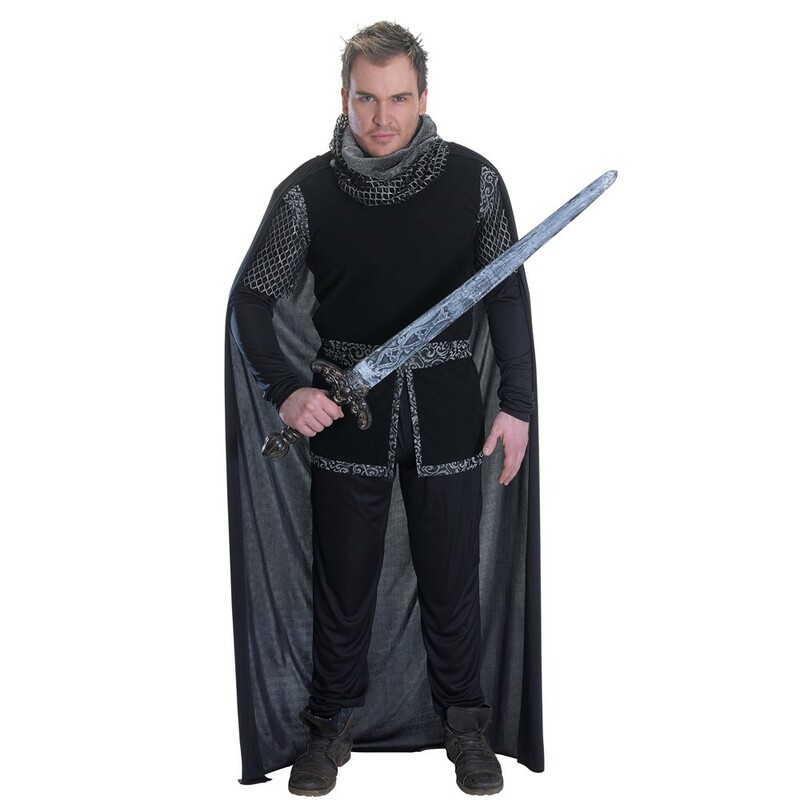 The black Top features long sleeves with a chainmail effect on the shoulders and around the neckline, with an ornate design around the waist and hem, and combined with the matching black Trousers, this Sheriff of Nottingham Costume will be sure to make an impression. Complete this Sheriff of Nottingham Costume with black Cape, Scarf, and Belt. Perfect for a Historical theme, a TV & Film theme, Book Week, or any fancy dress occasion, this Sheriff of Nottingham Costume will be sure to make you stand out from the crowd! A Sheriff of Nottingham Costume including a Top, Trousers, Cape, Scarf, and Belt.